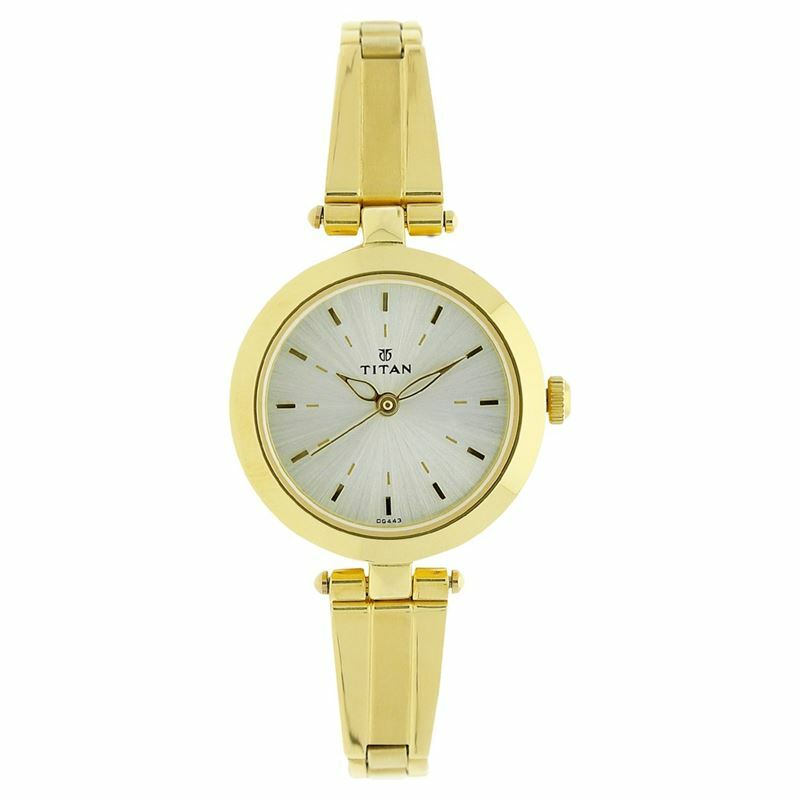 The new addition to the Titan Karishma collection is a stunner by every means. The unique design on the stainless steel bracelet combined with the stylish round shaped dial gives the watch an appeal which cannot be matched. The watch comes with a white colour dial with golden colour metal indices. The two layer hour marking design adds to the looks of the watch. The dial comes with a rich sunray finish and has patterned lugs.